My daughter is wild about horses. When she was ten I signed her up for her first riding class and she literally jumped for joy. “I want to ride horses forever,” she said, wide-eyed after her first riding lesson. Funny enough, she actually didn’t even get on the horse until her third lesson, but she was in love nonetheless. It is always amazing to watch how she transforms when we arrive at the barn every Tuesday. She automatically jumps into her worker mode—she grooms, she feeds, she walks, and she cleans out as many stalls as she can before her lesson. As she works and interacts with the horses, she always seems to soften, smile, relax and enter into a sort of meditative state. A few summers after she started riding, she attended a Santa Cruz summer camp with an equestrian program. The camp turned out to be a life-changing and character-building experience for her—all the benefits she usually gets out of riding were multiplied and she returned home a more responsible, calm, and adventurous girl. In addition to her regular cabin chores at camp, my daughter had a lot of responsibilities in the barn. Grooming and handling the horses, bathing them, and cleaning their tack are just a few of the tasks campers are expected to help with. And it is through these tasks that kids come to understand that the privilege of riding comes with the responsibility to fulfill certain duties. These duties in the barn can actually translate quite well to activities at home. My daughter, for instance, had very little interest in cleaning her room until she learned how to clean out her horse’s stall and was taught how important a clean environment is for the animal. Now she jokes that she’s cleaning out her stall every time she tidies up her bedroom and doesn’t seem to mind it nearly as much as she once did. Before she started riding, trying to teach her to be responsible wasn’t easy. Getting her to help around the house with chores, clean up after herself, or even help in the kitchen used to feel like a lost cause. It’s hard to believe she is the same girl she is today as she was back then. Looking back I realize that this is the way she was meant to learn responsibility—through her experience riding and looking after horses. In addition to learning responsibility, working with animals can also help calm and soothe children. Sleeping away from one’s parents for several days or weeks can be a frightening prospect for some kids—I know it was for my daughter. Anxiety, homesickness, and nerves can really impact a child’s experience of camp. But spending time with horses has the potential to ease those negative feelings. Horses have a peaceful, calming energy that inexplicably manages to put most people at ease. One study that looked at the impact that equine-assisted activities had on young women with social anxiety found a significant reduction in anxiety compared to the control group who received no equine therapy. In another study, equine therapy was found to help reduce symptoms of PTSD. This therapeutic effect of working with horses is what I believe helped my daughter get through her first few days at camp. Spending time with horses is also a very effective exercise in mindfulness for children. Even the simple act of grooming or stroking a horse can take their mind off of anxiety or worry in a single instant. When riding, focusing on tuning into the horse’s physical and emotional signals makes it easier for kids to let go of any worries and enter the present moment. Perhaps the most impressive thing to me about the summer camp equestrian program that my daughter attended was the well-rounded curriculum. I was a bit worried about her having a very intense experience that was solely geared towards the competitive side of riding, but that didn’t end up being the case at all. In fact, riding with her peers was welcomed for a girl who was used to riding by herself. Riding in group lessons with her peers not only helped forge and deepen friendships, it created new opportunities for learning from other riders. My daughter also got to learn how to ride Western at camp, something she never had the chance to learn in her structured lessons at home, which were strictly English. Being able to ride in both styles taught her agility, and riding Western helped her loosen up and become even more in tune with the horse when she rode. 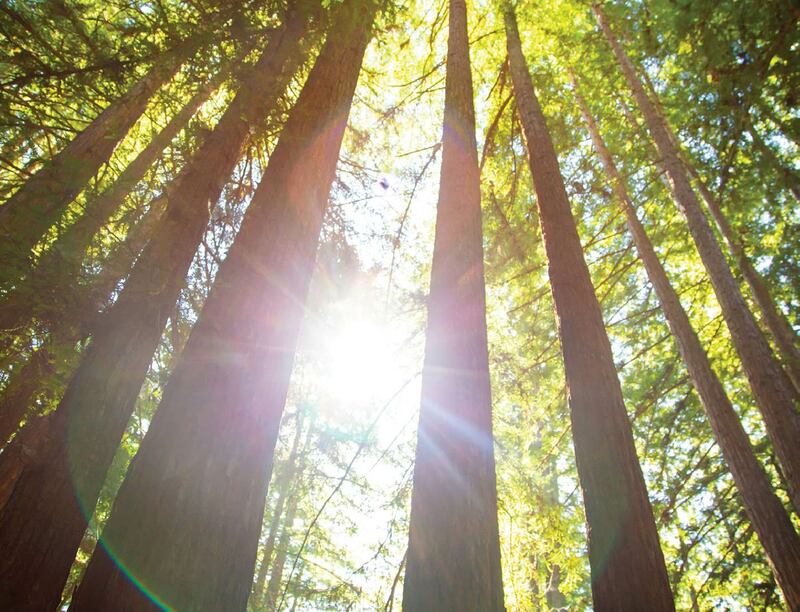 The highlight of her experience was an overnight campout, where she and her peers got to go on a long trail ride to a campsite where they cooked their own food over an open fire and slept in the fresh air underneath the stars. This overnight adventure instilled her with so much confidence and provided an experience she never got at her regular riding lessons. Summer camp is, after all, a place for fun and adventure. 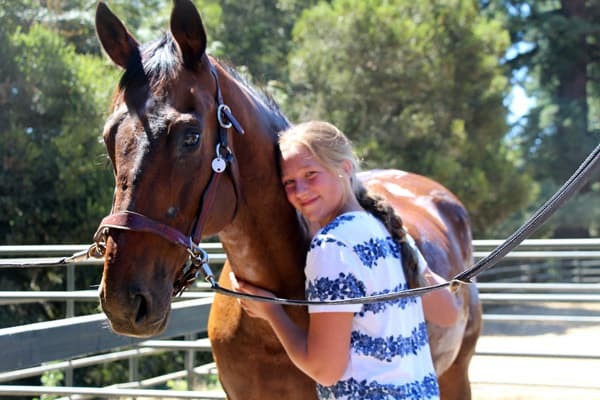 The summers my daughter spent in the equestrian program not only deepened her sense of responsibility, reduced her anxiety, and introduced her to an adventurous side of riding, they helped shape her future in a way I could have never imagined. She is about to start college in the fall, with the goal of becoming an equine veterinarian. Camp helped deepen her love for horses and encouraged her to follow her passion. And as a parent, nothing makes me more proud. Kennolyn Camps offers all-day and half-day equestrian programs for experienced riders in 4th grade and above. If you think your child would thrive in our well-rounded, exciting, and rewarding equestrian program, get in touch with us—we’d be happy to answer any questions you might have. Also, be sure to check out our other specialty programs to find the best fit for your camper.